Save Van Norden Lake and Wetlands | Keep it wet and wild! Sadly, we have to admit that the Truckee Donner Land Trust and the US Forest Service have succeeded in there planned destruction of Lake Van Norden and its surrounding wetlands. Using an underhanded maneuver of piecemealing the destruction project they have been able to subvert the environmental CEQA and NEPA processes to marginalize the habitat destruction. This tragedy is made all the worse by the fact that the destruction of the habitat and the resulting blow to the biodiversity of the Donner Summit Valley was perpetrated by the organizations whose alleged mission was to preserve and protect this unique environment. While we have had to face the sad reality of this tragedy, we will leave this website as a memorial to the lake and wetlands and all of you that loved it, fought to save it, and will miss is dearly. We thank all of you that supported its preservation. Welcome to the Save Van Norden Lake website. This site was dedicated to the preservation of the beautiful Van Norden Lake and its surrounding wetlands situated in the Donner Summit Valley. 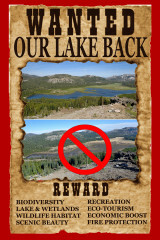 Unfortunately, after a long struggle to preserve the lake and wetlands, their destruction will be carried out by the Truckee Donner Land Trust and US Forest Service. 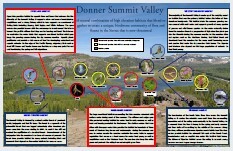 This site is meant to serve as a resource for general information about the Donner Summit Valley and some of the history of the valley and the lake specifically. The information presented here was gathered from public records and personal research by the organizers of the site, George Lamson and Bill Oudegeest. It is being made freely available to anyone interested in learning more about the valley. 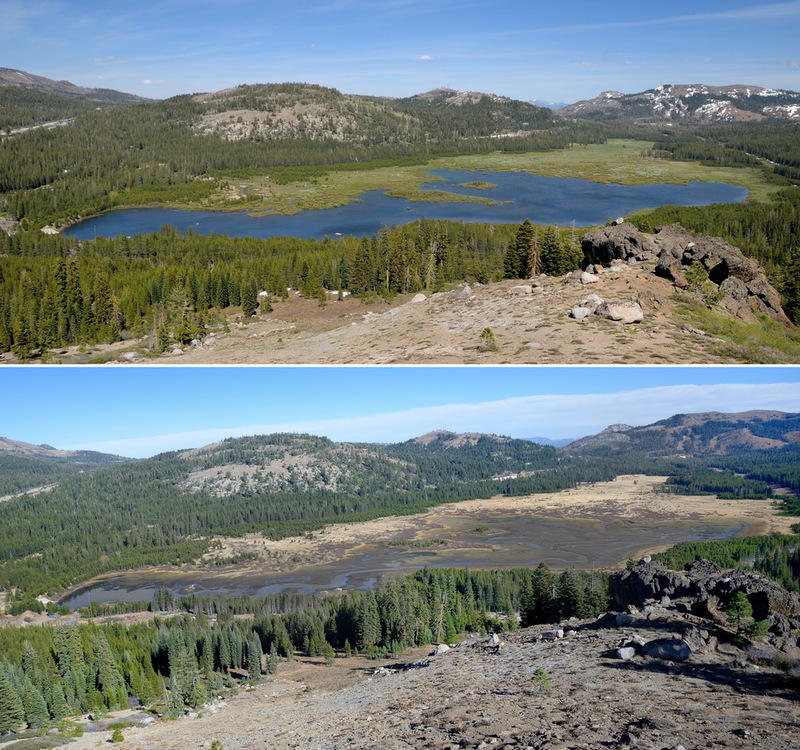 This site to memorializes the opposition to the tragic destruction of the valuable lake and wetland habitats that enriched the biodiversity of the Donner Summit Valley.